Home Lists 22 Goodies Street Photographers can ask Santa for Christmas! 22 Goodies Street Photographers can ask Santa for Christmas! NOTE: This is in no way an affiliate linking article. Street Hunters do not share affiliated material and if we ever will, we will let you know. For this reason this post doesn’t offer links to the objects mentioned. You can easily find everything with a simple Google search. If you don’t feel like reading, I have prepared a video in which I read the blog post for you. You can find that video at the bottom of the post. The Holidays are upon us and it is a time of joy and gifts! A time where we usually get new things or even better we are given new things! As Street Photographers, most of us are also gadget enthusiasts and in search for the perfect camera accessories. We keep on finding ourselves on shiny eshops looking through they goodies and making our wish lists. Some of us might have basic needs, like a new camera, but others are out searching for that one thing (or many things) that will make all the difference to them the next time they are out on the street, taking photographs. What is on your wishlist this Holiday season? Have you thought about it? Well, I have thought about it and have come up with a short list. In addition I also asked the other Street Hunters what they would like for Christmas as well as some other photographer friends and this is the list filled of their awesome ideas, ideas which you might find useful! Something for my Android pad or iPad like subscription to a photography magazine! 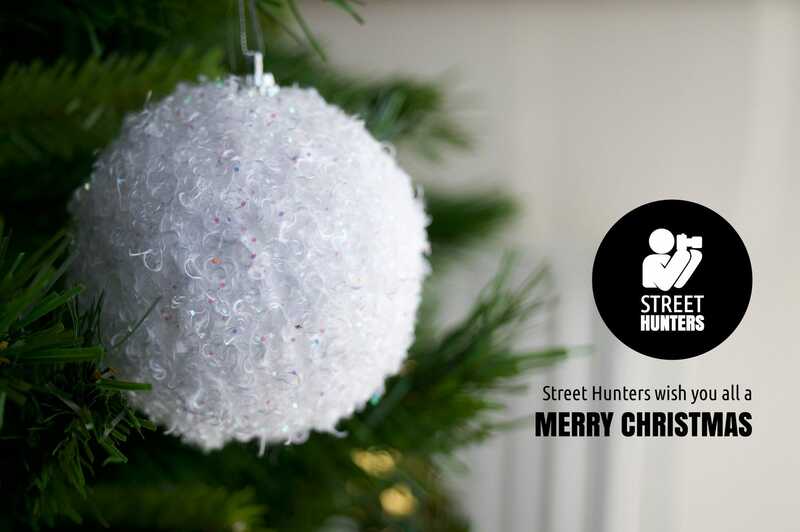 All the Street Hunters wish you Happy Holidays, a Merry Christmas and a Smashing New Year!